Looking for a quick, filling plant based salad? Look no further! 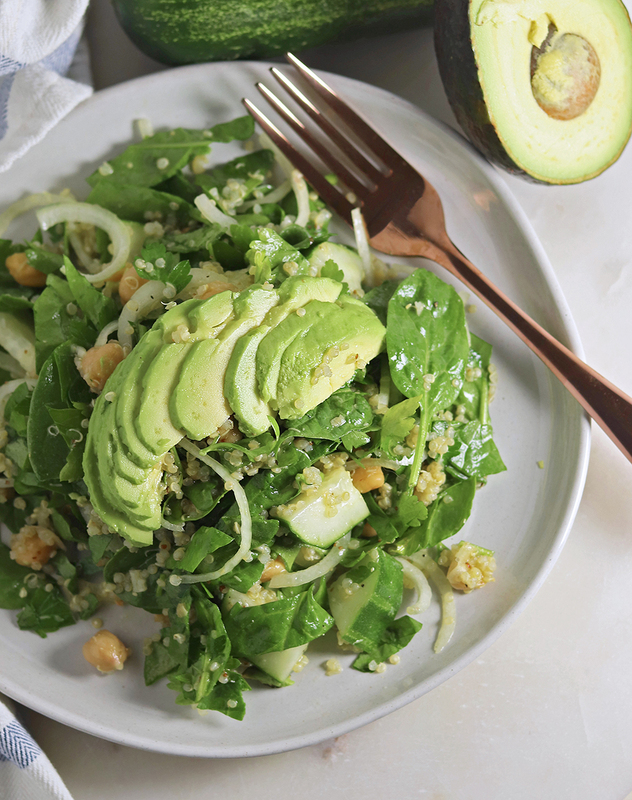 This Quick Protein Packed Spinach Salad comes together in 20 minutes and is chock full of green veggies, protein, and healthy fats!